A delicious and nutrionally balanced soup. Why try this exante Meal Replacement Soup? 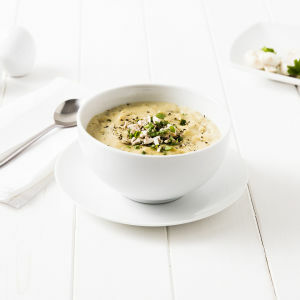 This exante meal replacement Butternut Squash Soup is a creamy, nourishing and fibre-rich choice for lunch or dinner. Thick and satisfyingly tasty, it is also protein-packed to keep you feeling fuller for longer. Who can benefit from a meal replacement soup? exante meal replacement soups are enriched with 27 vitamins and minerals and are high in protein and fibre, making them ideal for quick weight loss or as a complement to a calorie-controlled diet.